This article addresses the roles that transportation infrastructure and government can have in accelerating the deployment of increasingly automated vehicles into society. 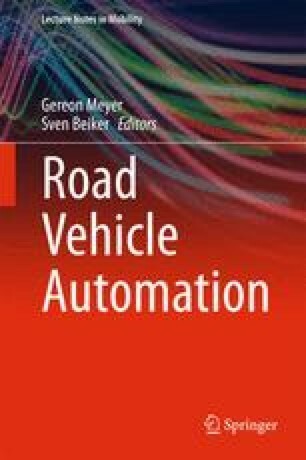 Current intelligent transportation systems technologies deployed as part of the infrastructure can provide information that automated vehicles alone otherwise will not have (e.g., status of a traffic signal’s phase and timing). Results from the Federal Highway Administration’s connected vehicle research and development efforts demonstrate the potential benefits that can be achieved by connecting vehicles to infrastructure at any level of automation: reducing congestion, increasing roadway capacity, providing fuel savings, and sustaining the environment. These benefits can be achieved while maintaining safety as the highest priority. Ongoing and future research projects are also described.